Install a 14 x 28 Arctic Armor Leaf Net Swimming Pool Cover over your winter cover this fall and make spring opening quick and easy. 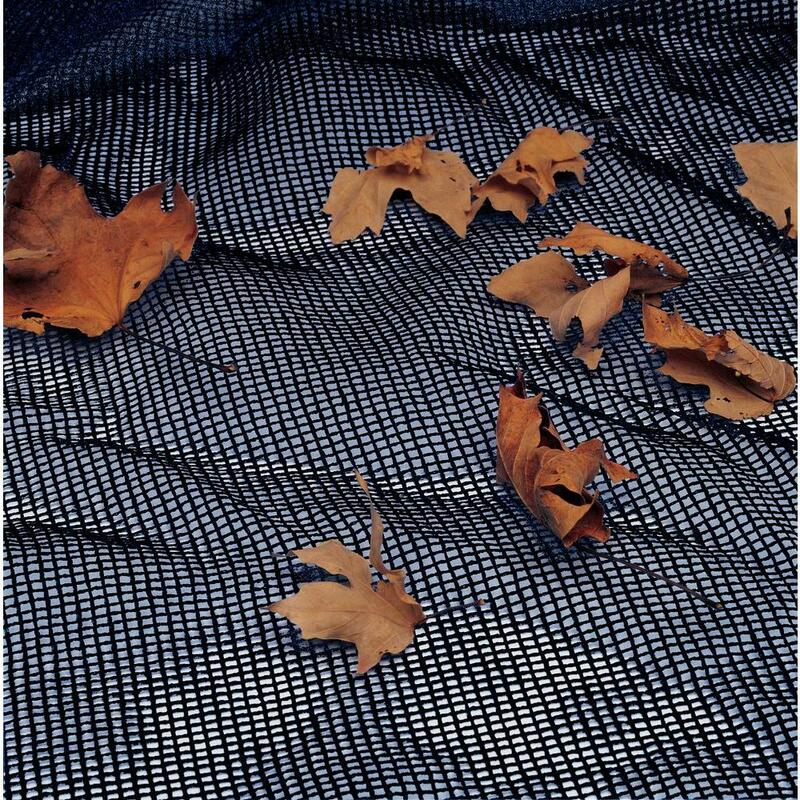 The leaf net’s tight mesh traps even the smallest leaves before they reach your winter cover. Other brands of leaf nets have larger mesh that allows small leaves to pass through to your winter cover and decompose in the spring. 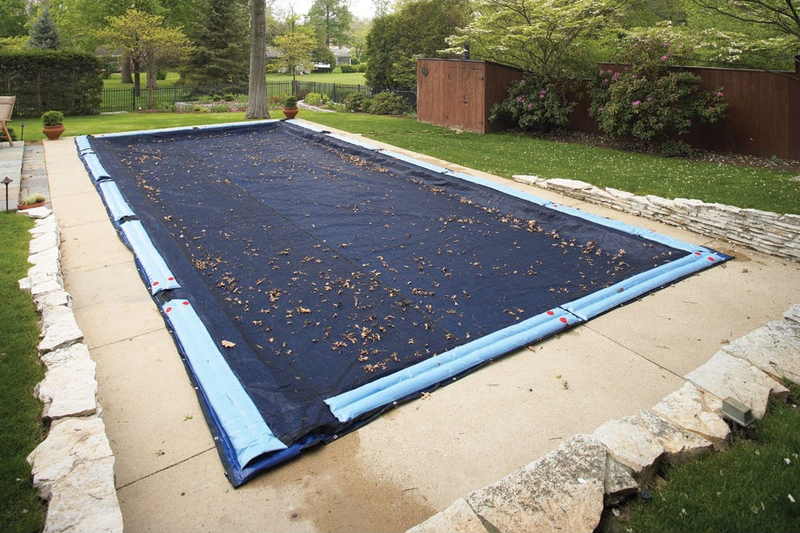 Simply lay the Blue Wave leaf net on top of your winter cover when you close your pool and remove it before the first snow. 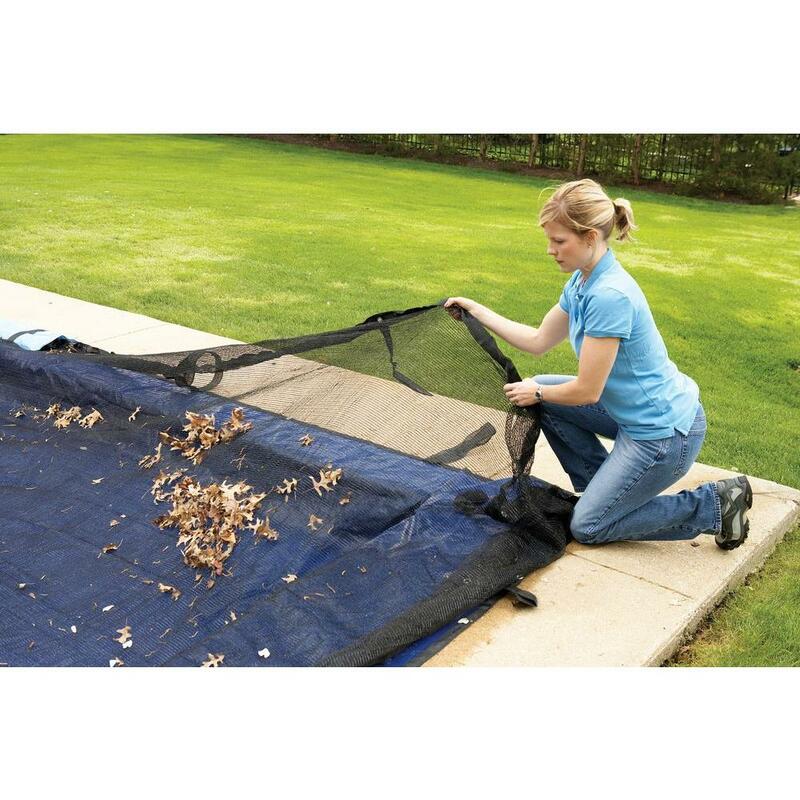 Your cover will be virtually leaf free and spring clean-up will be a snap, eliminates that messy swamp of decaying leaves. 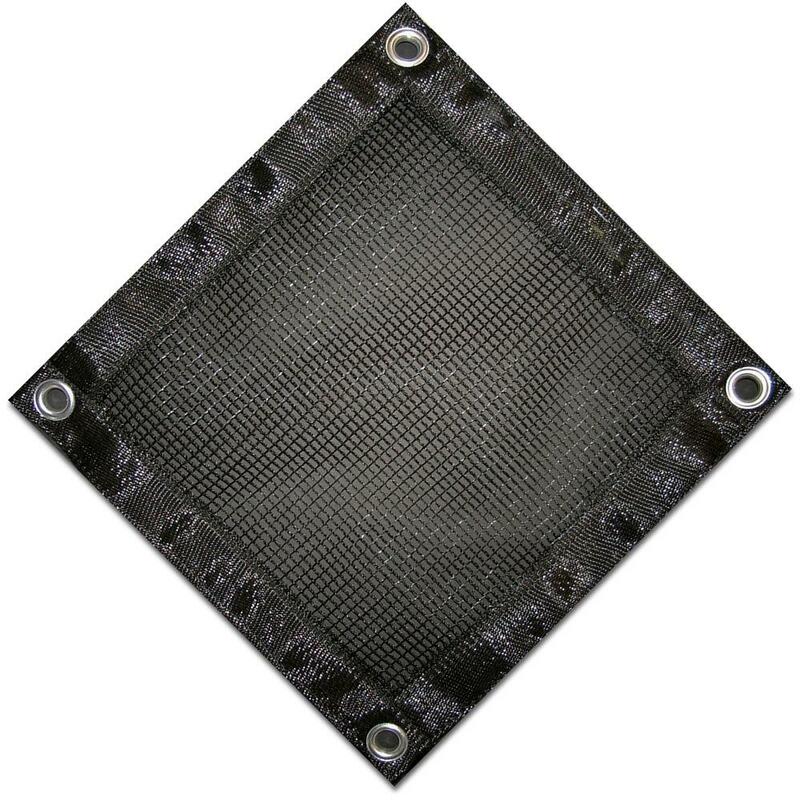 Blue Wave leaf nets are made from durable woven polyethylene and carry a 4-year warranty. In-ground leaf nets have an extra 4 ft. overlap and water tube loops for a secure fit over your in-ground winter cover. Black mesh fabric.